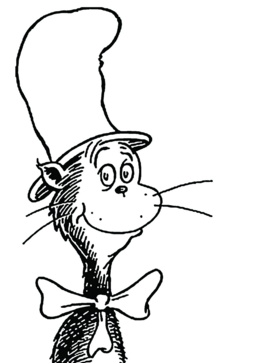 Well, finally we are here to draw a cat in a beautiful hat. Yes, probably most of you have cats as your pets at your homes so here is a chance for you to draw your kitty’s doodle in a beautiful and handsome way. If you are following along with us lately and have been drawing the portrayals in step by step video tutorials, we have drawn a lot of birds and animals etchings. Now we realized that it is the time to let you know how to draw your own pet’s design, so here is your all time favorite Tommy. Let us share some little facts about cats. Well, cats are fluffy,soft animals everyone wants to pet,raise and feed. It has a sharp set of teeth for killing small prey mainly mice. Cats are very flexible which help them a lot. Cats can hear a faintest of sound and lowest of frequency making them good to go for a mouse hunt. Other than that, they have a high breeding rate and a rate of reproduction is very high as compared to other animals of its kingdom. interestingly, cats are second most popular pets in USA after fresh water fish. After knowing these awesome facts, you should have been convinced enough to sketch a cat, so follow the video below and you are super to go. If you liked the video, be sure to check out the other videos below and explore the wonderful pencil drawings of other pets,animals as like was cat and your favorite cartoon characters. We will be uploading much more videos soon, so visit daily for new videos. Don’t miss our daily videos and bookmark us in case you forget.